UPDATED: Sun., Nov. 26, 2017, 7:18 p.m.
“I just felt like a zombie, and I wanted to hurt somebody,” said DiPasquale, a co-founder of the Rochester, New York-based Veterans Cannabis Collective Foundation. It aims to educate vets about the drug he pointedly calls by the scientific name cannabis. In a sign of how much the issue has taken hold among veterans, the 2.2-million-member American Legion began pressing the federal government this summer to let Department of Veterans Affairs doctors recommend medical marijuana where it’s legal. The Legion started advocating last year for easing federal constraints on medical pot research, a departure into drug policy for the nearly century-old organization. 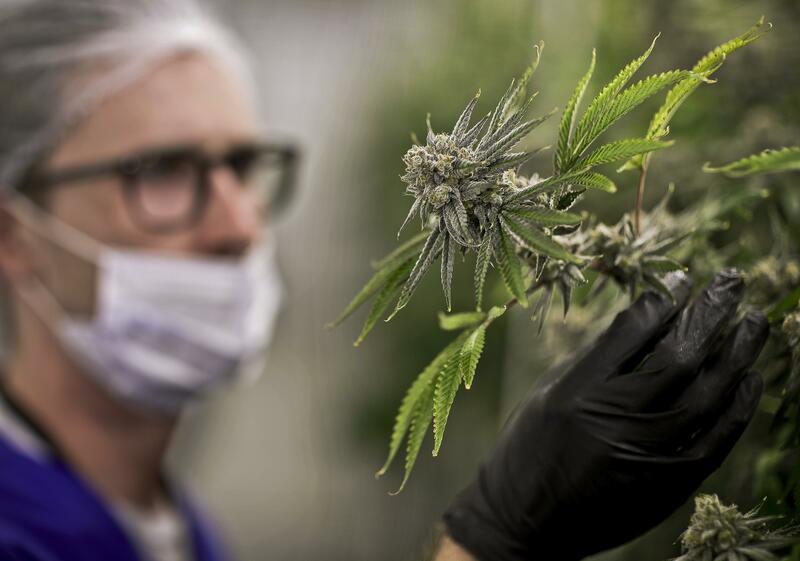 “It’s quite a sea change,” said Michael Krawitz, a disabled Air Force veteran who now runs Veterans for Medical Cannabis Access, an Elliston, Virginia-based group that’s pursued the issue in many states. Still, there remain questions and qualms – some from veterans – about advocating for medical marijuana as a treatment for PTSD. It was stripped out of legislation that added six other diseases and syndromes to Georgia’s law that allows certain medical cannabis oils. The chairman of the New York Senate veterans affairs committee voted against adding PTSD to the state’s program, suggesting the drug might just mask their symptoms. “You wouldn’t have cancer treatments that aren’t approved done to yourself or your family members,” and marijuana should be subjected to the same scrutiny, said Dr. Thomas Berger, who heads VVA’s Veterans Health Council. A federally approved clinical trial of marijuana as a PTSD treatment for veterans is now underway in Phoenix, and results from the current phase could be ready to submit for publication in a couple of years, said one of the researchers, Dr. Suzanne Sisley. Published: Nov. 26, 2017, 11:28 a.m. Updated: Nov. 26, 2017, 7:18 p.m.